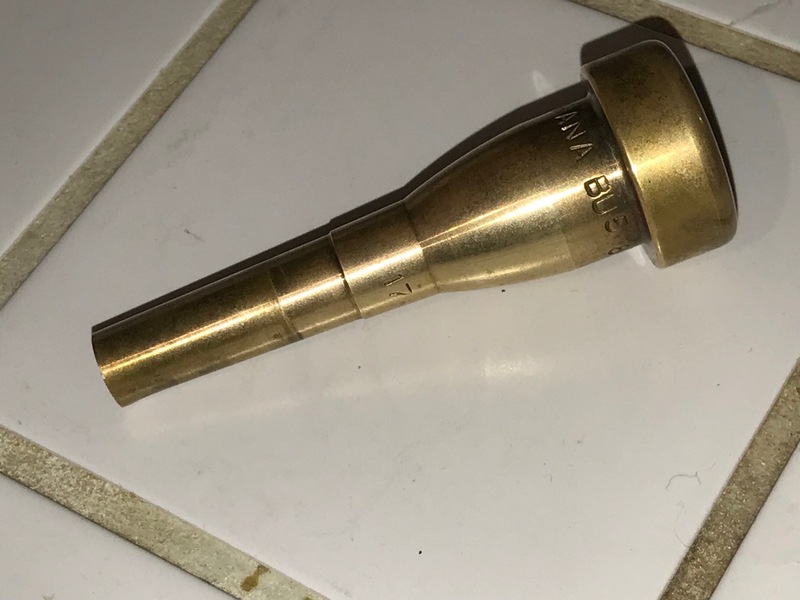 Question: Could a vintage leaded brass mouthpiece cause (or contribute to) kidney failure in a professional trumpet player? This mouthpiece represents a cherished piece of history for my sons. We were told that it was used for three decades (or more) by their band leader (a legendary award winning trumpet player) who died far too young of kidney failure, struggling with diabetes for the final chapter of his life. Connecting the dots (that he died of kidney failure and used a bare leaded brass mouthpiece for over 30 years) was a very upsetting moment for our family, especially since my 16 year old son is a trumpet player! To my knowledge, no studies have been done specifically on the impact of bare/exposed leaded brass mouthpiece use on their users. However… kidney failure is one of the diseases that has been solidly linked to lead exposure in the medical research done to date. As a result, I would make an educated guess that it is very possible that daily prolonged use of an unplated leaded brass mouthpiece (trumpet players typically practice or play up to 4 hours a day or more) could contribute to or cause kidney failure in the user. I would also imagine that this is not a common concern in 2018. Newer leaded brass mouthpieces are generally silver-plated with a relatively thick layer of plating, however the silver plating has been known to wear over time under heavy use (like what might be seen with student instruments). Professional trumpet players and modern professional trumpet mouthpiece manufacturers today (in 2018) are aware of the potential toxicity concern and now alternate choices for mouth pieces are commonly available including solid silver mouth pieces, titanium mouth pieces, stainless mouth pieces and even gold plated silver mouth pieces. When a professional trumpet player who is a friend of ours last came to the Pacific Northwest on tour he told me that he made a special stop to a trumpet mouthpiece manufacture in Washington State specifically to purchase a non-toxic mouthpiece made of titanium. When I first mentioned the presence of lead in mouthpieces of many brass instruments to him, he was fully aware of the concern. As always, please let me know if you have any questions. No other elemental metals detected. *For context, modern toys manufactured for use by children are considered unsafe for children if the paint or coating is positive for lead at levels of 90 ppm or higher or the substrate (base material) is positive for lead at 100 ppm lead or higher. Additionally, LeadCheck swabs have a low-threshold limit of detection of 600 ppm and only detect lead on the surface of the object they are testing. Older Ikea Glass: 41,400 ppm Lead + 745 Cadmium. Note: ALL newer Ikea I have tested has been Lead-safe or Lead-free. Consumers can’t tell: one of these Tupperware bowls has 3,136 ppm Cadmium + 773 Mercury (both are poisons), one does not. 2018 U.S. “Copper” Penny: 579,100 ppm Zinc & 419,200 ppm Copper. No Lead, No Cadmium, No Mercury, No Arsenic. #AskTamara: Should I be worried about the possibility of lead in the sandbox toys at my child’s school? Reminder: June 2007 Thomas The Tank Engine Wooden Toy Recall. Do you still have these trains at home? I read your post with interest. I can understand the presence of lead in the the alloy because of greater ease of machining. But my question is, if most mouthpieces are silver plated, doesn’t that create a barrier between the base metal and the player’s lip?